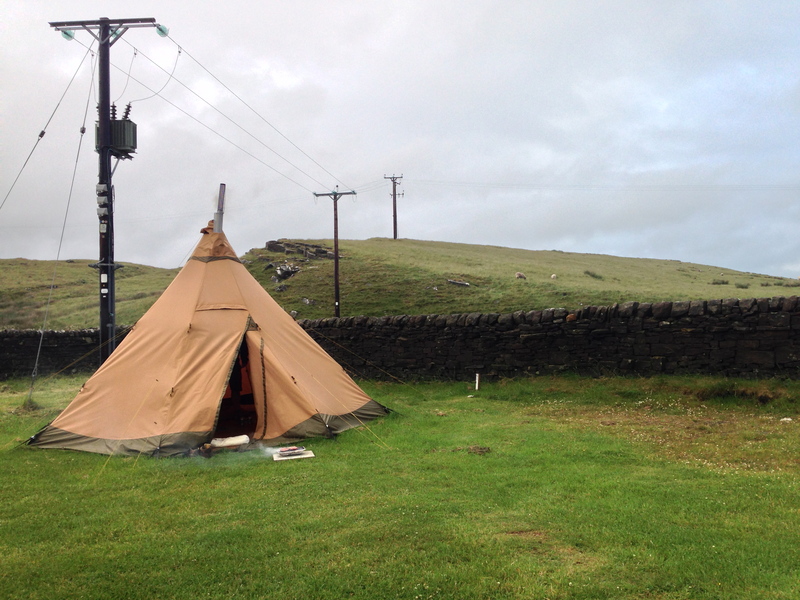 Last week, I was surprised with a night away staying in a tipi. Or, more correctly, a Tentipi, which is a Norwegian designed tipi that has completely revolutionised my understanding of camping, due to the bloody incredible wood burning stove inside. Which means that, despite the wind and rain we faced on Sunday, we were toasty warm and making mugs of tea inside. I loved it. Loved it. Not that I don’t like camping, I do. I just don’t like getting cold. But I do love camping – I just need layers and layers of clothing! I love the sense of adventure and of having a bit of freedom. Of having life’s issues reduced to working out how to keep a roof up over our heads, cook dinner and spend time with our loved ones. The important stuff. One of the things that I really loved about the time in the tipi – even more than the stove – was re-aquainting myself with the truth that adventures don’t have to be far-flung, lengthy, or cost a fortune. Adventure is on our doorsteps; we just have to look for it. It’s all a question of attitude. So, with that attitude in mind, I’m getting a ‘Micra Adventure’ kit together so we can jump in the car and set off for places unknown. The utterly inspiring Alistair Humphreys calls them Microadventures, but given that Silvertrim (ancient Micra) is likely to be our vehicle, unless we walk or cycle, I’ve changed the name to suit. Micra Adventures are hidden in all the places in the UK that I don’t know, from secret woods to city centres, coastal paths to open moorland. Even though my wish-list of places to visit across the globe will never diminish, there are so many places I’ve not been to in the UK and it seems a shame not to take the opportunity to see them, as most of them are so much more accessible over a short period of time than anywhere abroad. We have some of the most wonderful habitats, natural places, heritage, cities and landscape of anywhere in the world and it’s short sighted not to appreciate them because they’re more ‘known’ to us than places further away. It also means that we can escape the 9-5 much more readily than if we had to make complicated plans and save up lots of money. So, tipi shopping is the next point of order, and getting the Micra Adventure kit ready so that we can leave at the drop of a hat, off to make our next discovery. Is there a place to camp in the UK that you recommend? Let me know! Did you buy a tipi? I reckon that would be perfect for trips away with my 2 little ones. That sounds like an amazing campsite. Tipi is still the plan, but we’ve not got one yet. There’s a great one for roughly £200 though, that we’re thinking about. Tentipis are lots more money!